I love pizza, most of you know this, so with that said, the decision on what topic to choose for the autumn series of “In Search Of” was simple. Growing up in Brooklyn, I had access to some of the best pizza known to mankind and moving to the Tampa Bay area in the fall of 2010 meant having to find a crop of new favorite pizza joints. The quest wasn’t easy and as you see over the next few blog posts, it was tasty. Some places offer up great substitutions for the quintessential NYC slice of pizza, while others take a different approach. 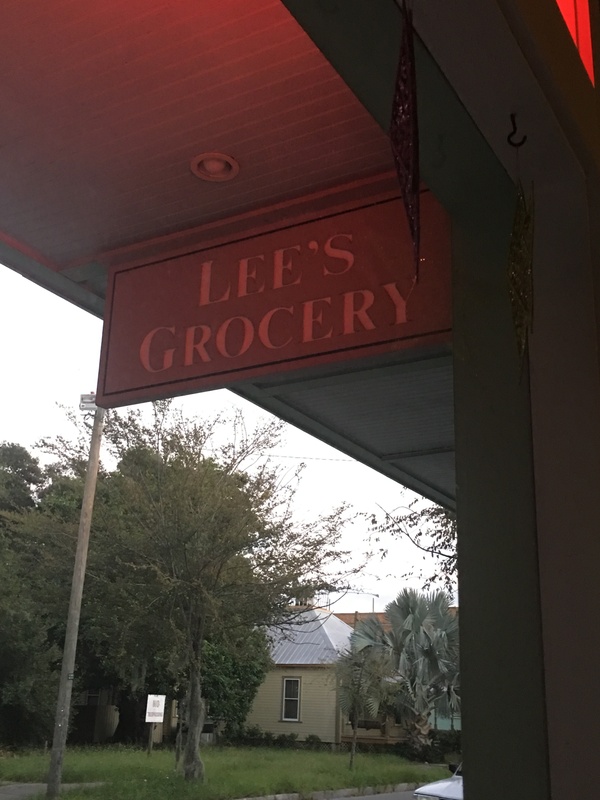 Lee’s Grocery in Tampa Heights is one of the places that takes a different approach on my favorite meal. They aren’t cooking up the typical NYC or Chicago deep dish pizza. They are putting their spin on it to say the least. Firstly, the menu options are listed as titles of classic punk rock albums or songs. One or two have even helped me to rediscover a song that I have forgotten about. Before I get to the pizza, there is another great reason to love Lee’s and that is craft beer. They offer a great selection both on tap and in their many refrigerators. I don’t think I have seen a place that wasn’t a distributor offer up so many options to enjoy. So, the pizza. It is all made to order, never anything sitting around waiting to be ordered. The sauce has never tasted bitter and the dough never tastes frozen. The toppings are always fresh too. Really, for a pizza snob like me, it does not get much than this. Also, the service adds to the overall experience. The staff is always friendly and helpful. The place gets packed and they still serve everyone with a smile.